Inside this kit you will find a breathtaking patterned and designed 12" x 12" Simple Stories, "Domestic Bliss" scrapbooking kit, along with custom inspiration on the other side. This collection is all about the ins and outs of life happening at home. 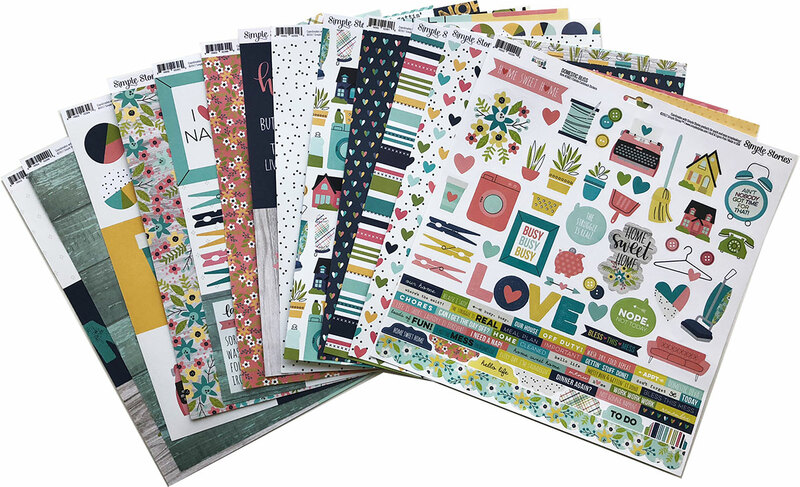 The papers in this collection include trendy patterns of hearts, floral, stripes, polka dots, plaid and more.